So, I guess we know why the New York Yankees really signed Kevin Youkilis. 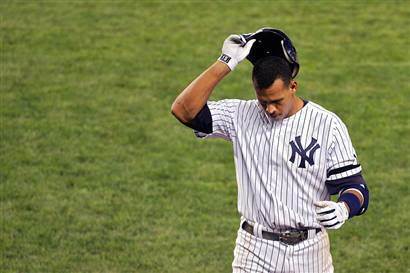 Perhaps they knew something other than regular injury was up with their third baseman Alex Rodriguez. Turns out A-Rod has been abusing the juice, again. Yes, one of the greatest frauds to have ever walked on a Major League Baseball diamond, has once again, been caught with his pants down, and with a giant steroid needle stuck firmly in his backside. A Miami paper has published the results of a three month long investigation and A-Rod is the biggest name on the list. Judge for yourself, but the evidence certainly looks compelling. "Back then, [baseball] was a different culture, It was very loose. I was young. I was stupid. I was naive. And I wanted to prove to everyone that I was worth being one of the greatest players of all time. I did take a banned substance. And for that, I am very sorry and deeply regretful." Sounds great, right? The only snag, this isn't A-Rod saying sorry for this incarnation of his drug taking alter ego, the above is a pathetic apology that dates back to February 2009. 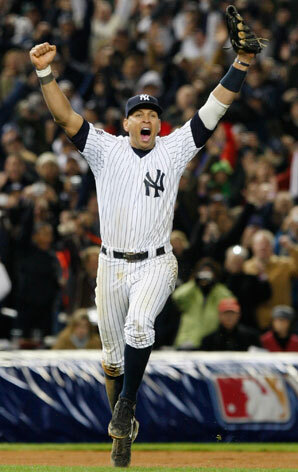 Ironically, this may have all come at an absolutely perfect time for the Yankees. Someone should check and see if the reporters who broke this story recieved any payments from the Yankee front office, because it is completely possible now that the Yankees may have found a back door into terminating A-Rod's huge contract on the basis of misrepresentation. This would not only free the Yankees from the anchor-weight that has been A-Rod's ridiculously big contract, it would also free themselves from the Carnival that is A-Rod himself. One final thought, echoing a brilliant comment from a friend of mine, Alex, never use a dealer that utilizes a spreadsheet to detail his transactions!